Consider it cruise control for your smoker. It ramps up the heat. It lowers the heat. All you have to do is light the fire and set the control direct from your phone. 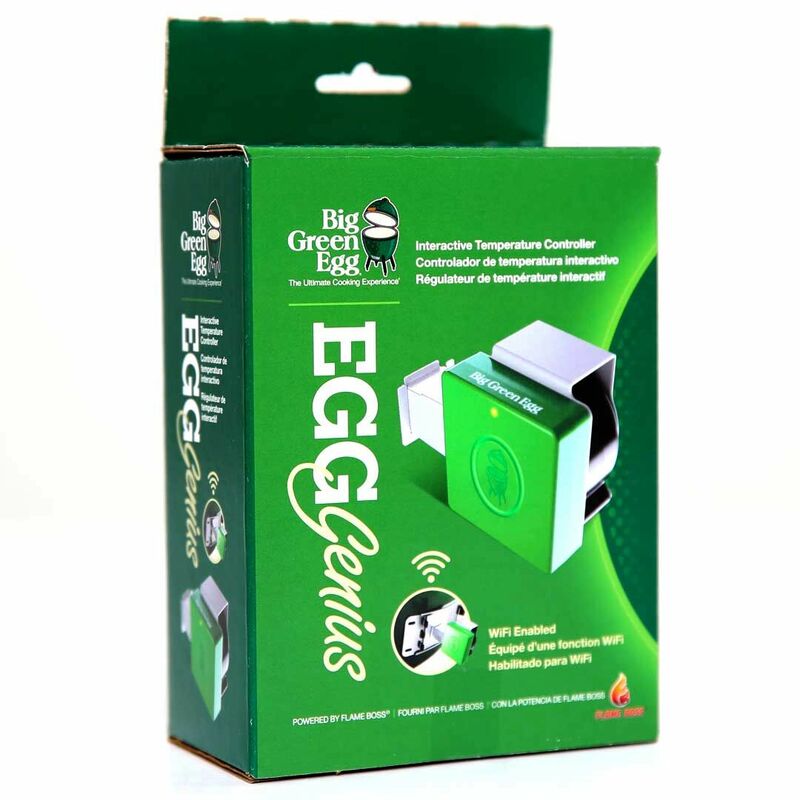 Egg Genius takes it from there, keeping consistent, smoky goodness where it belongs – encircling your meat, poultry and fish. The Egg Genius temperature controller lets you get a good night’s sleep and still serve your favourite Low and Slow smoked meats. The EGG Genius effortlessly controls the temperature of your EGG through your smartphone, tablet or computer. Remotely manage and monitor cooking temperatures for worry-free cooking, monitor the temperature of your food, view graphs of your cooks …. 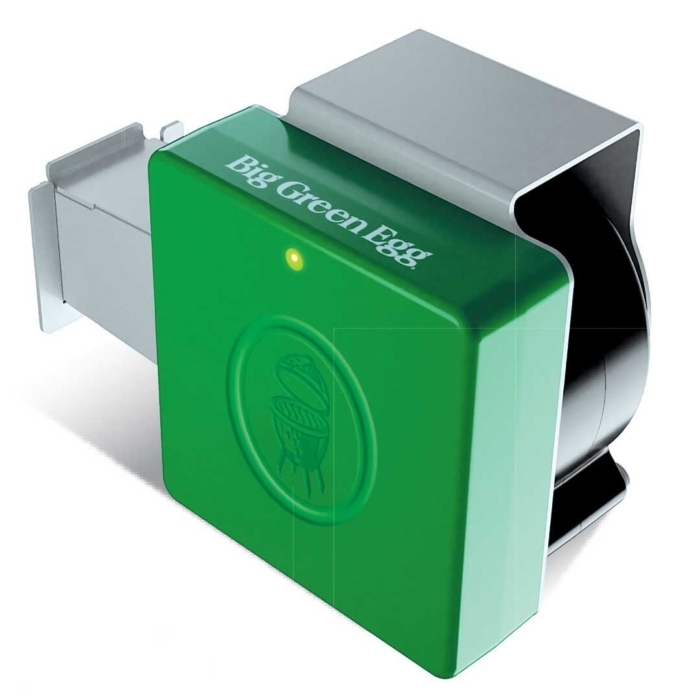 And even receive alerts when your cook is finished or when the EGG temperature is too high or low. The EGG Genius pack includes 2 industrial duty thermometer probes (1 x pit and 1 x meat) for accurate readings to 260 ﹾC / 500ﹾF. 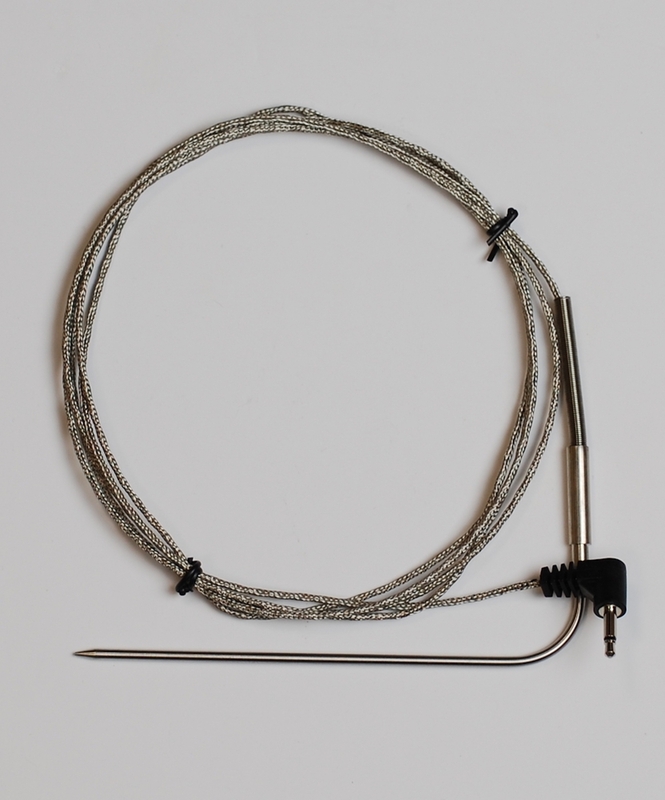 You can use up to 3 meat probes at once – additional meat probes with Y-cable can be purchased separately. 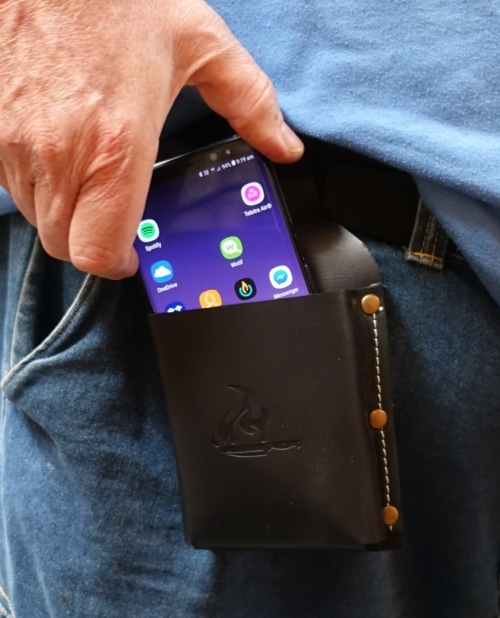 EASY TO USE – Simple device configuration coupled with unparalleled customer support guarantees a smooth experience. 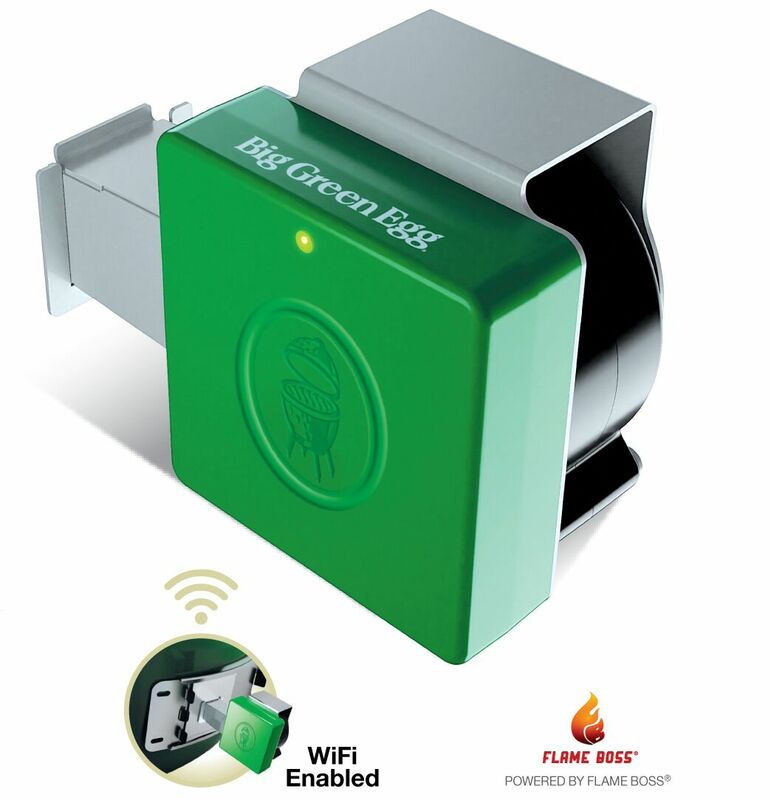 LATEST TECHNOLOGY – Patented software and variable speed blower produce precise temp control. Compatible with Amazon Alexa and Google Home for voice command control. PRODUCT GUARANTEE – We stand behind our products with a 1-year warranty on all parts and a 30-day customer satisfaction guarantee. 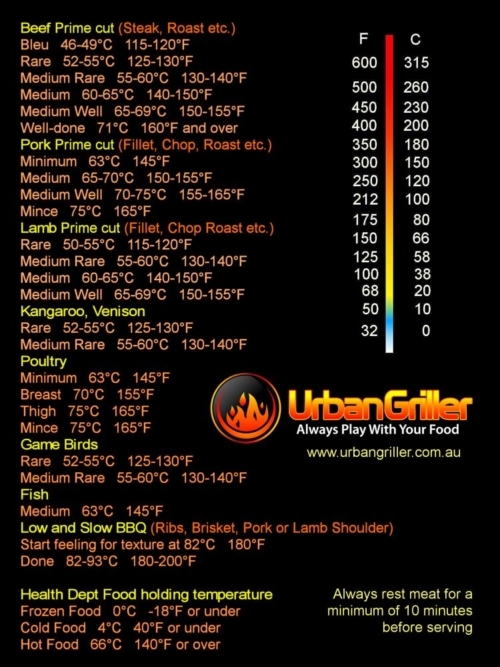 ALARMS & ALERTS – Set alarms for desired cook time and internal meat temp. 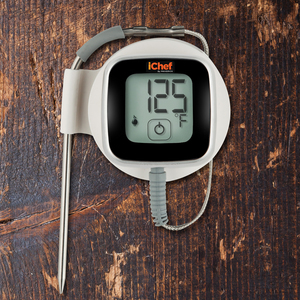 Receive text alerts if cook temp is too high or low, or when cook is finished. View graphs of your cooks. 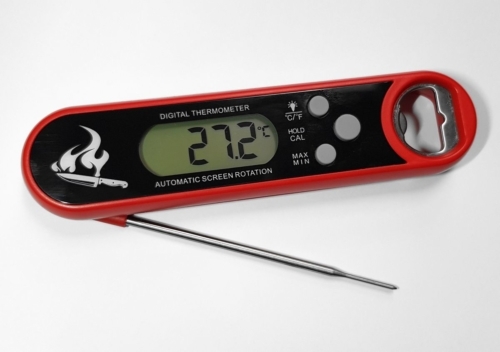 Monitor pit and food temperature and change the temperature of your pit from your phone, tablet or computer. 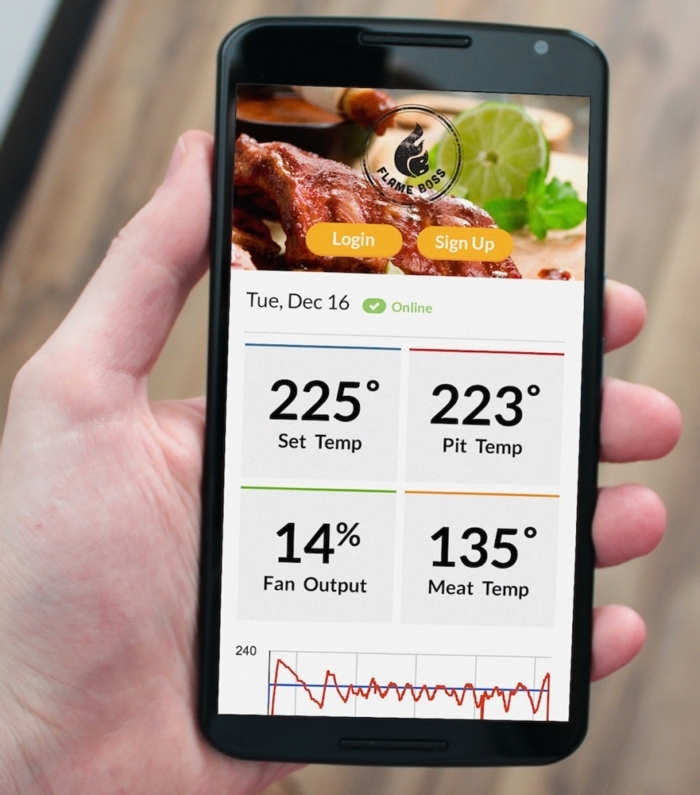 Set the meat alarm to automatically turn down the pit temperature when your desired meat temp is reached to keep food warm, even send yourself a text message when your meat hits the desired temp. Connect with any device that has a browser – no software to install. KIT INCLUDES – WiFi controller with integrated blower grill adapters, (1) high temperature meat probe, (1) high temperature pit probe, and a power supply. 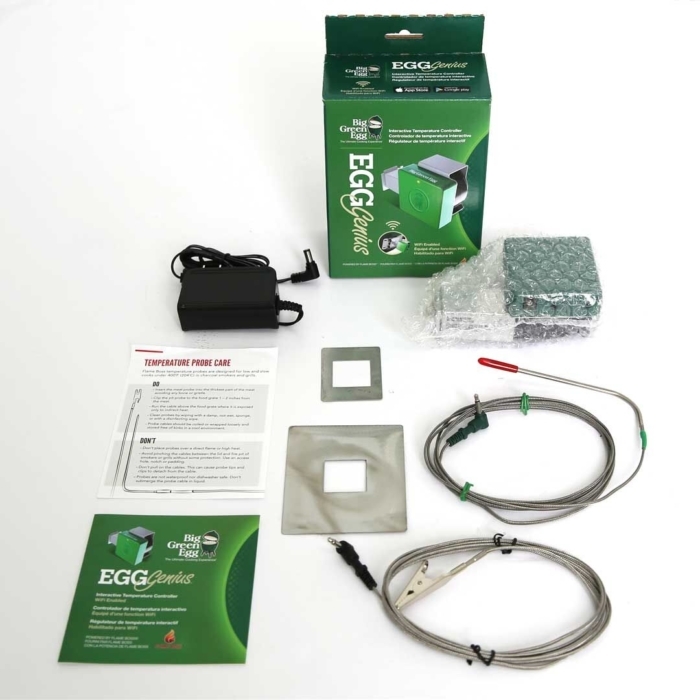 Use in combination with the Egg Genius® Temperature Probe Y-cable on Egg Genius® to add additional probes. 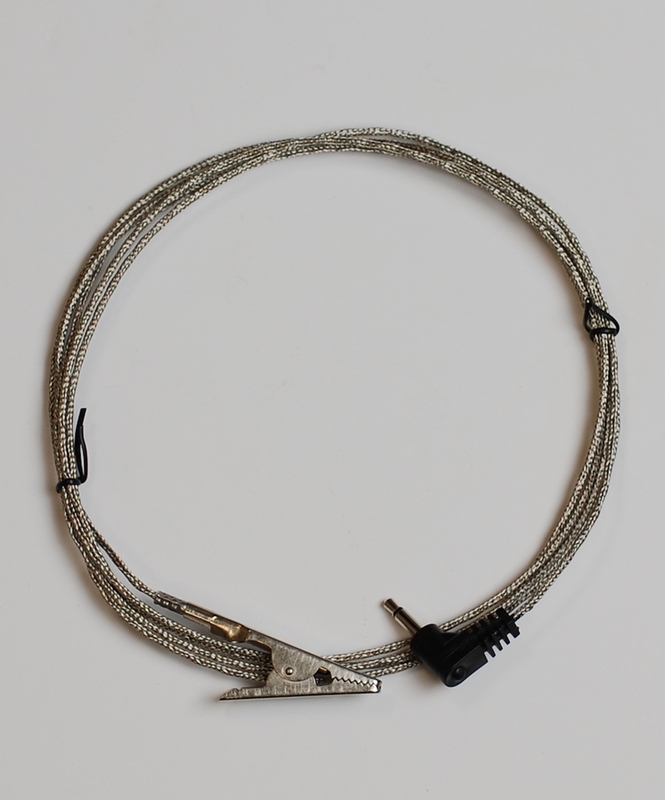 Plug one Y-Cable into the Pit Jack on the Egg Genius. Plug a Pit Probe into the black lead labelled PIT/M1. Plug one Meat Probe into the Y-Cable red lead labelled M2/M3, plug a second Meat Probe into the Meat Jack on the Egg Genius. 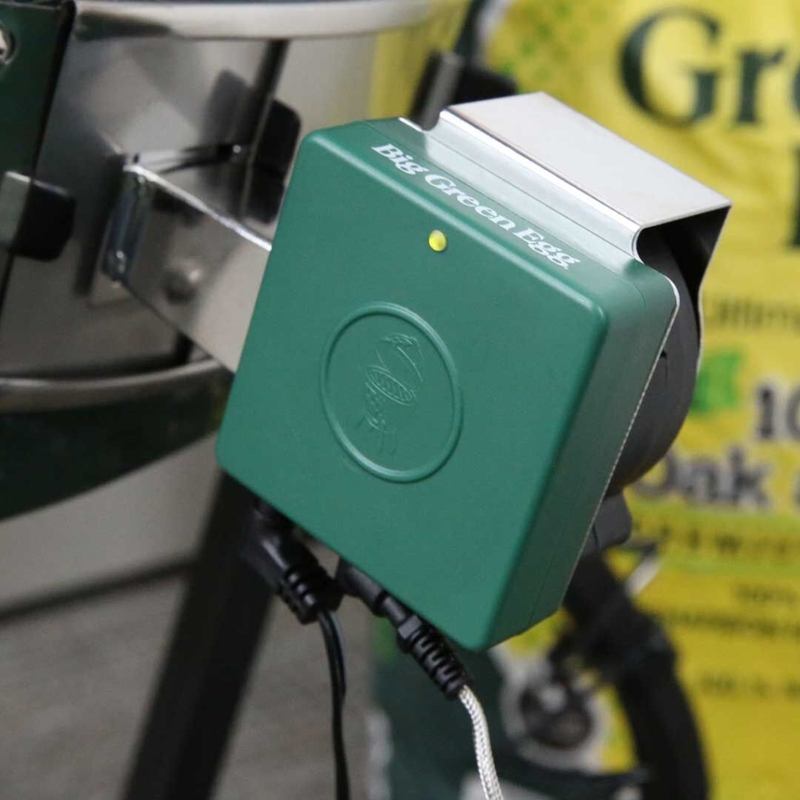 Plug one Y-Cable into the Pit Jack on the Egg Genius. Plug a Pit Probe into the black lead labelled PIT/M1. Plug one Meat Probe into the red lead labelled M2/M3. 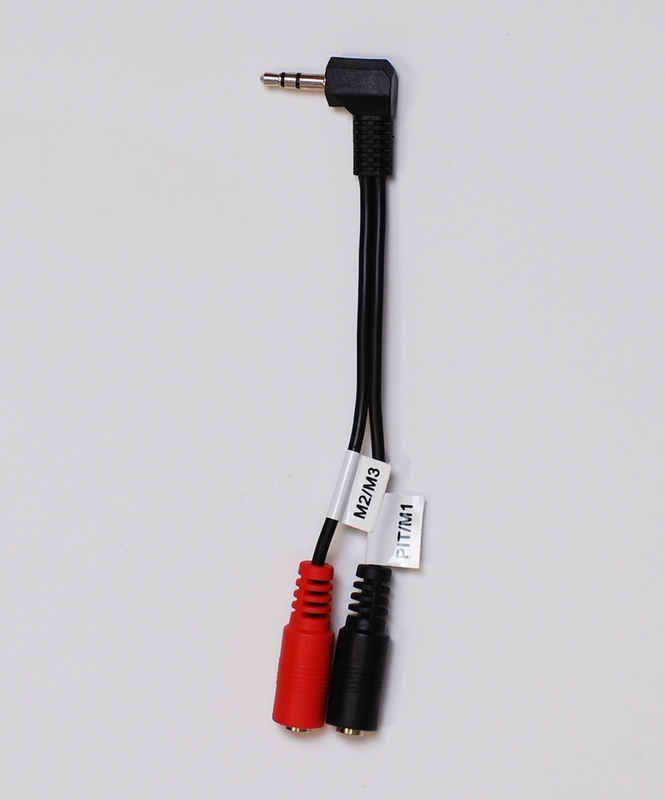 Plug the second Y-Cable into the Meat Jack; plug the second Meat Probe into the Y-cable black lead labelled PIT/M1 and the third meat probe in the red lead labelled M2/M3.